We are the wall paper manufacturer, our wallpapers that are the best available on the market, because we have high quality wallpaper, but our price really good. the most important things is we support custom business. we can custom your own wall paper. you just give us your own design, we can custom that for you. Feel free to contact us regarding any questions you have about our wallpapers, pricing, order processing, shipping related questions and installation. 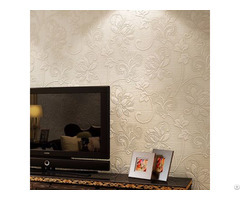 Business Description: We are the wall paper manufacturer, our wallpapers that are the best available on the market, because we have high quality wallpaper, but our price really good. the most important things is we support custom business. we can custom your own wall paper. you just give us your own design, we can custom that for you.